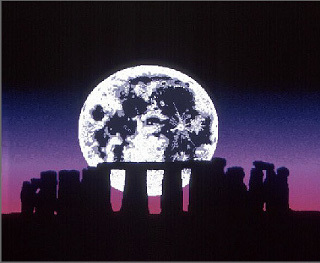 murder | Views of an atheist techno-pagan. Really. I don’t care about your religion. Are you christian? Fine. Are you muslim? Be happy with it. Are you hindu? Good for you. Just Don’t Freaking Kill People. Even stronger: don’t kill people in the name of your loving, caring god! It’s not about killing ‘non-believers’. It’s about killing people. The idiot who shoved the idea into your mind that people who don’t believe what you believe should be killed should be killed. Yes, read that again if it confuses you because I’m sure it does. What god, master of the universe and the whole rest of the area would be happy if tiny little you goes to the market and kills someone? Which excuse for righteousness would be jumping for joy when you brainwash children of 10 years old to tie a bomb around themselves and blow themselves up in a marketplace? And then decide when you are going to stone someone. I’m not just talking about muslims. Christians have their own share of bloodshed to answer for (Crusades, Inquisition, invading South America). All big, monotheist religious organisations have something to answer for, I’m certain. I don’t give a damn about anyone’s religion. Just stop murdering people. Lets take a moment today–the Indian government has put a ban on media publishing her name. But we can tell the world who she is (not “was”) and do as her father asked–let what happen to her mean change in the world. 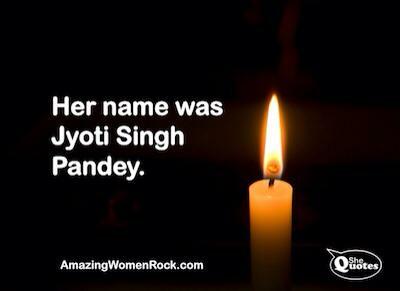 Her name is Jyoti Singh Pandey.